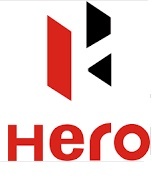 About Us:- Hero Motocorp Ltd., formerly Hero Honda, is an Indian motorcycle and scooter manufacturer based in New Delhi, India. The company is the largest two wheeler manufacturer in India. The Engineer for Covers and Cowls (Polymers) is responsible for the design and development of plastic covers and cowls for scooter and motorcycle models.His release responsibility covers conceptualisation, design and development of all plastic covers and cowls –both motorcycles and scooters – either in-house or all external projects and all inline projects. a) Design and development of scooter body in including the supporting parts like locks, grommets, and mounting arrangement. This includes meeting the time , cost, legal requirements and spec quality targets. He will be responsible for fit and finish and efficacy of fixture concepts. c) Guide the technical support and resolve design issues. 3. Triggering new ideas of improvement. Deep experience in design of plastic styling parts preferably for two wheelers.